Historical fiction author Kate Emerson recounts how a thirty-year-old idea became the inspiration for her “Secrets of the Tudor Court” series. When I was growing up, some of my favorite books were biographies written for young people. I can remember reading the life stories of Nellie Bly, Florence Nightingale, Catherine the Great, and Elizabeth the First. As I grew older, I read historical novels. My father owned titles by Margaret Campbell Barnes, Thomas B. Costain, and Frank Yerby, and even one by Margaret Irwin called Young Bess. A bit later I discovered the work of Anya Seton and the incomparable Dorothy Dunnett. Many of these were fictionalized biographies beginning early in the life of a real person and continuing through several decades. At twenty-nine, I tried my hand at writing my own novel set in the sixteenth century. Unfortunately, my timing was terrible. Historical novels with plots spanning decades had gone out of fashion. My earliest effort didn’t sell, nor did the ones that followed. When I began to be published in other genres, I set the manuscripts of those big historical novels aside and more or less forgot about them. Flash forward to November 2006 when, in the course of brainstorming ideas with my agent, I happened to mention the type of book I’d tried to write thirty years earlier. She liked what she heard, especially the part about choosing a protagonist who was a real but little-known person at the Tudor court, and suggested that I think about reworking some of my ideas. While I was doing other things, big historical novels had come back into vogue. In particular, The Other Boleyn Girl had made the Tudors popular again. A thirty-year-old idea became the first book in the “Secrets of the Tudor Court” series, six stand-alone novels connected by their setting—the court of Henry VIII. Each features a different real woman. What these historical figures have in common is a special relationship with the king. In five of the books, the protagonist was alleged to have been one of Henry’s mistresses. In two cases, they probably were and I wrote their stories that way. 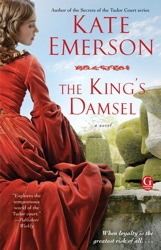 In the other three novels, the women attract the king’s attention but avoid being seduced. 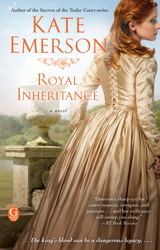 The sixth book, Royal Inheritance, is the story of Audrey Malte, who may have been King Henry’s illegitimate daughter. Just as I loved reading biographies as a child, I now enjoy discovering as much as I can about the little-known historical figures who populate my novels. And because I am writing fiction, I can extrapolate, inventing events that could have happened during the periods of their lives that are lost to history. From the first book, The Pleasure Palace, to the current title, Royal Inheritance, writing in the “Philippa Gregory genre” has turned out to be a great pleasure indeed. A fan favorite from the queen of royal fiction! The fourth novel in Kate Emersonseries set in Tudor England based on a real life member of the royal court of Henry VIII. Well-crafted historical fiction, with romance and passion filling every page. 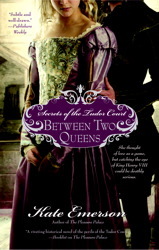 Book 3 in Kate Emerson's lush and enchanting series set in the Tudor Court. A dramatic and passionate saga. 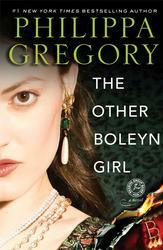 Perfect for fans of Philippa Gregory. 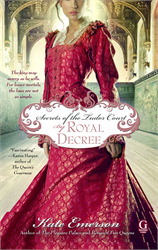 A gripping historical novel set in the Tudor Court.